Recently a World Toilet College Training of Trainers Class on “Washroom Cleaning and Basic Maintenance” was completed from the 21-25th June, 2016 at Parmarth Niketan Ashram, Rishikesh. 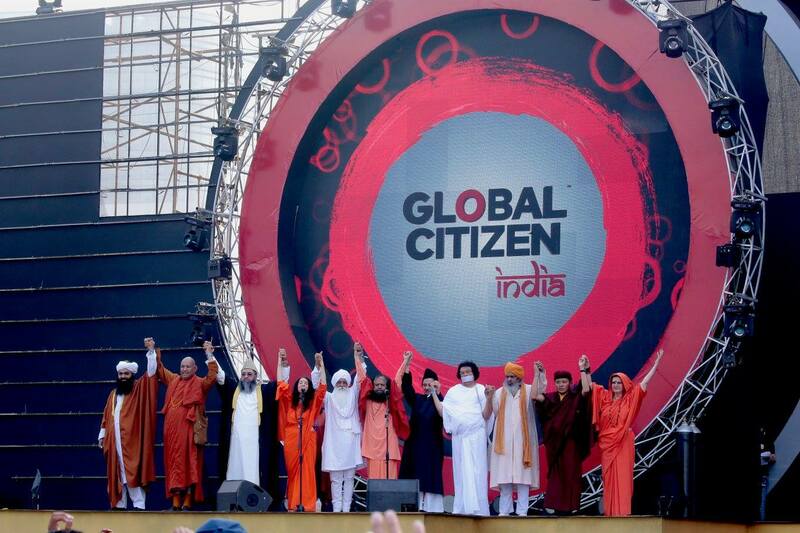 It was inaugurated and blessed by the organization’s President, Global Interfaith WASH Alliance’s Co-Founder Pujya Swami Chidanand Saraswatiji (Pujya Swamiji). The World Toilet College is a project of Reckitt Benckiser, World Toilet Organization and the Global Interfaith WASH Alliance. More than 25 specially selected participants from various fields of social work, environmental conservation and science participated in the five day training. Trainers and instructors from the World Toilet Organization from Singapore, Ramli Mehmood and Sarika Saluja conducted the workshop. “There can be no meditation, no spiritual, religious practice without sanitation. Sanitation is the very foundation upon which we build our lives. The World Toilet College in Rishikesh, Uttarakhand illustrates that meditation and sanitation must go hand in hand and that we need to collectively work to ensure there are enough toilets and sanitation facilities, even if that means that there are no more new temples and places of worship for a few years until this basic goal is met. Simply by building, using and then maintaining a clean toilet we can prevent a host of illness/disease as well as contribute significantly to a Swachh aur Swaasth Bharat (Clean and Healthy India).”shared Pujya Swamiji. Global Interfaith WASH Alliance’s Secretary Sadhvi Bhagwati Saraswatiji inspired the participants to become Swachhta (Cleanliness) Ambassadors after completion of this much-needed and critical training. “Just as a doctor protects a patient’s life, our Swachhta Ambassadors will protect their health by spreading awareness on the right and effective ways to maintain cleanliness in their toilets, homes and communities,” Sadhvi Bhagawati Saraswati, Secretary-General of GIWA, added. Program’s Director Swami Adityananda Saraswatiji said the motive of the World Toilet College and Training is to make the citizens alert and aware of the essential, basic need of cleanliness so that our coming generations also understand the new, smart ways to clean with precision. The closing ceremony was held with the Water Blessing Ceremony and pledge to keep India Clean & Green. It was joined by CBSE Board’s Assistant Commissioner Dr. M. M Swami, Haryana’s Sports Teacher Shri Dhanveer Singhji and Shri Rajeev Sharmaji, MalaKundi Samiti, a local NGO, representatives Bhagat Singh, Sohan Singh, Sunil, Vikas, Vishal Bhatt and Vikas Bhatnagar.